For global researchers studying epigenetics, looking at the surface of the genome could be the key to discovering the next big thing in plant and seed engineering. Classical genetics has been with us for a long time, ever since Gregor Mendel put forward his laws on the basic mechanisms of heredity in the 19thcentury. Classical genetics has led to wondrous developments in the area of agriculture, including GM and gene editing technologies. And now, another area of study is on the cusp of changing our ideas about plant function even more. Epigenetics, although has existed as a concept for nearly eight decades, is becoming a new buzzword that causing lots of chatter in plant breeding and seed circles, and for good reason. “Epigenetic technologies are on the cusp of being industry-ready. Unlike techniques such as CRISPR, it’s not quite there yet — but very close,” says Michiel Van Lookeren Campagne, head of seeds research at Syngenta. A field like epigenetics holds great promise for companies like Syngenta, he says, which invests a lot of time and money in dealing with the regulatory hurdles that invariably come with breeding plants that have had their genetic codes altered in some way. “Epigenetics essentially sits on top of the layer of classical genetics, which has been the basis of all breeding programs,” says Van Lookeren Campagne. Epigenetics is the study of heritable changes in gene function that do not involve changes in the DNA sequence. Epigenetic changes in plants do not occur as a result of any changes to the plant’s DNA, but as a result of other factors like changes to chromosomes that affect gene activity and expression. Basically, Van Lookeren Campagne explains, epigenetic changes occur when various “switches” in DNA are flipped on and off, triggering different reactions within the plant. He notes that epigenetics as a field really took off in the 1990s when Dutch and American molecular biologists breeding purple petunias obtained a number of unexpected results that were difficult to explain. They were trying to increase the color intensity of the petals in petunias by introducing a gene inducing the formation of red pigment in the flowers. But instead of intensifying the color, this treatment led to a complete loss of color and the petals turned white. The mechanism causing these effects remained elusive untilAndrew Z. Fire and Craig C. Mello discovered the cause, earning them the Nobel Prize in Physiology for Medicine for 2006. Fire and Mello deduced that double-stranded RNA can silence genes, that this RNA interference is specific for the gene whose code matches that of the injected RNA molecule, and that RNA interference can spread between cells and even be inherited. In other words, genes can be turned on and off like light switches, producing different reactions within a plant without altering the plant’s genetic code in any way. Those epigenetic changes are ushering in a new frontier for the seed industry as a result. In March, Epicrop Technologies Inc., a company co-founded by University of Nebraska-Lincoln professor and epigenetics pioneer Sally Mackenzie, announced it had secured US$3.2 million in funding. This funding will be used to further develop epigenetic technology with a focus on large increases in yield and stress tolerance in crops. “We’re very excited to have previous and new investors on board who appreciate the game changing potential of this technology,” said Michael Fromm, chief executive of Epicrop Technologies. In the company’s field and greenhouse trials, epigenetically improved plants — soybeans, tomatoes, sorghum and Arabidopsis— show increased yields and stress tolerance. In Alberta, University of Lethbridge Department of Biological Sciences researcher Igor Kovalchuk has gained the reputation as a world leader in epigenetics. His goal: to produce hardier crops that are increasingly resistant to stress and even able to detect pollution. This capability, in turn, will help to improve the efficiency, profitability and overall success of farms. Thanks to Kovalchuk, in fact, the Canadian Prairies could one day be dotted with fields of medicinal poppies. He is currently working with a Canadian biotech company that plans to develop a market for the high thebaine poppy industry in Canada. 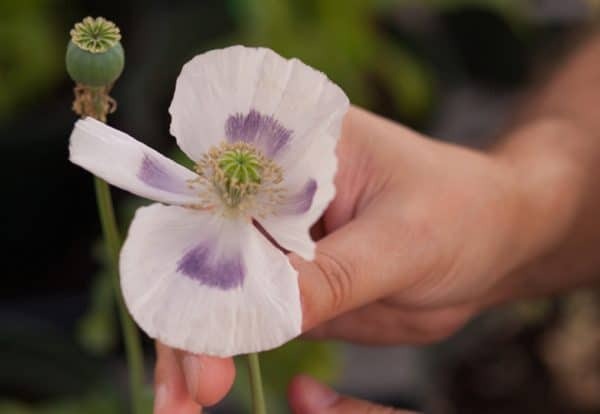 A significant cash crop opportunity, high thebaine poppies are used to create valuable medicines, but unlike their traditional counterparts, cannot easily be converted into heroin. Kovalchuk is also a driving force behind the establishment of the Alberta Epigenetics Network, the first epigenetic network in Canada. “Plants have an amazing capacity to respond immediately to stress and to propagate this response so future generations can be better prepared,” he says. One of the ways plants do this, of course, is via epigenetic changes. For Van Lookeren Campagne, the doors yet to be unlocked by epigenetics are many, and he’s excited as new research initiatives are undertaken to bring epigenetic technologies to market. The 2018 Environmentally Sustainability Agriculture Tracking Survey Final Report is now available. This survey measures Alberta producers’ awareness of, and their adoption of environmentally sustainable agriculture (ESA) practices with eight agri-environmental risk areas. 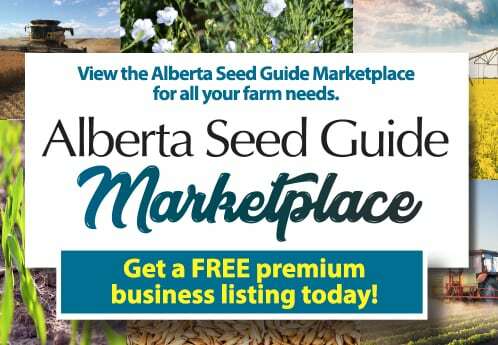 In January 2018, 500 farmers and ranchers across Alberta answered a telephone survey about the use of ESA practices on their operations, their awareness and use of Alberta Agriculture and Forestry (AF) decision making support tools and resources. For the first time, the survey also asked their perspective and attitudes towards sustainability and industry-led sustainability initiatives. Every two years AF sponsors a farm-level survey to track changes in adoption of ESA practices in the province. The survey results provide valuable information about its progress in Alberta and helps AF efforts to improve these programs and activities to encourage producers to adopt ESA practices. Find more information on AF’s Environmental Stewardship webpage.